A low cost, reliable way to cool and purge electronic control panels. 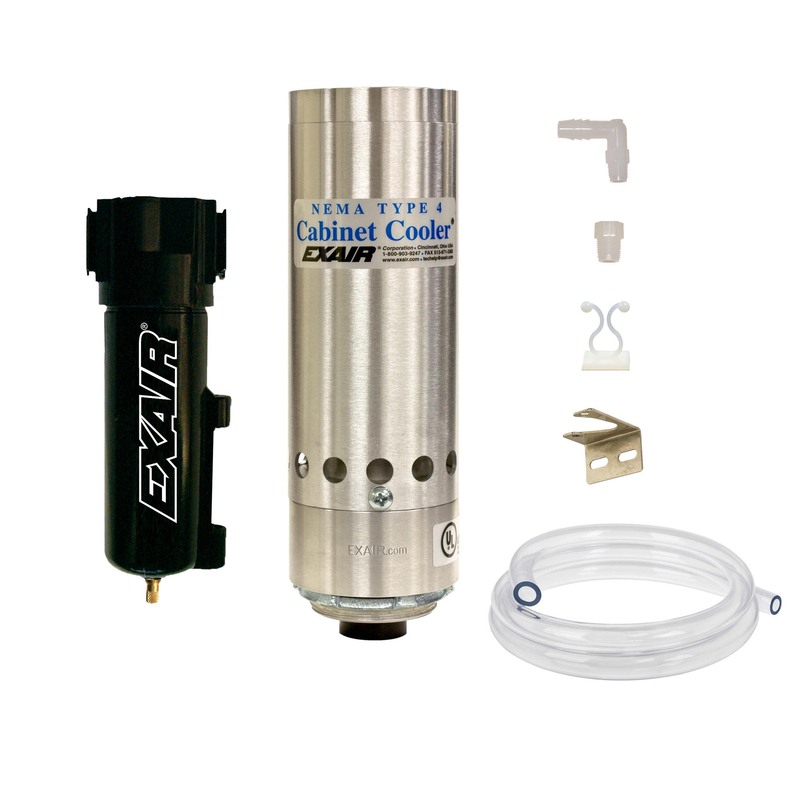 EXAIR Cabinet Coolers incorporate a vortex tube to produce cold air from compressed air - with no moving parts. The compact Cabinet Cooler can be installed in minutes through a standard electrical knockout. 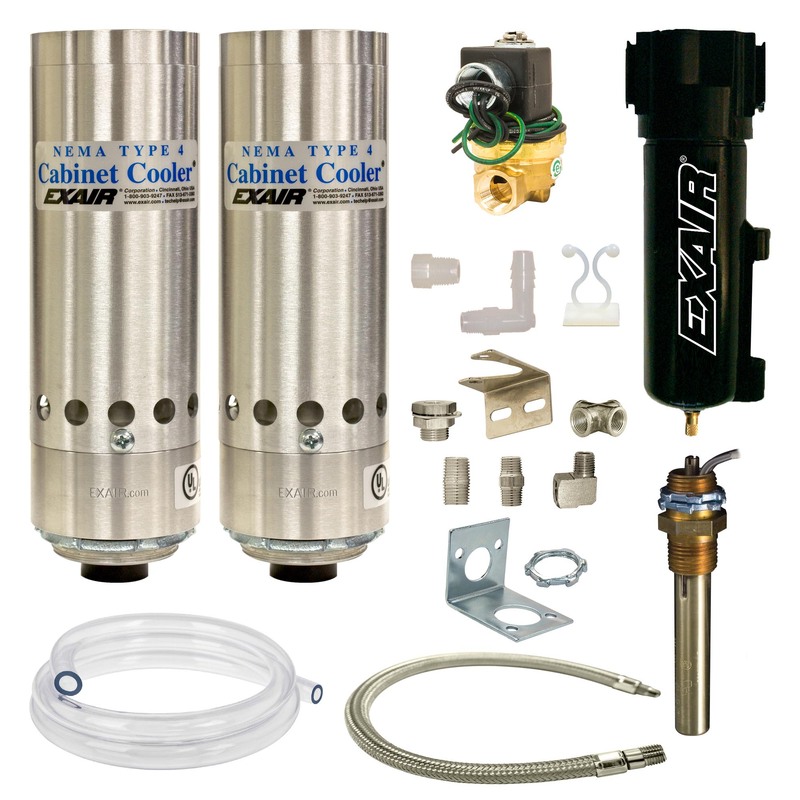 NEMA 4 (IP66) Cabinet Coolers (dust-tight, oil-tight, splash resistant, indoor/outdoor service) incorporate a low pressure relief valve for both the vortex tube and cabinet air exhaust. This valve closes and seals when the cooler is not operating to maintain the integrity of a NEMA 4 enclosure. High Temperature Cabinet Coolers for ambient temperatures of 125°F to 200°F (52°C to 93°C) are available in many cooling capacities for large and small control panels. 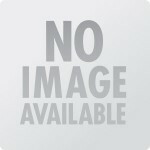 All Cabinet Coolers are UL Listed and CE compliant. 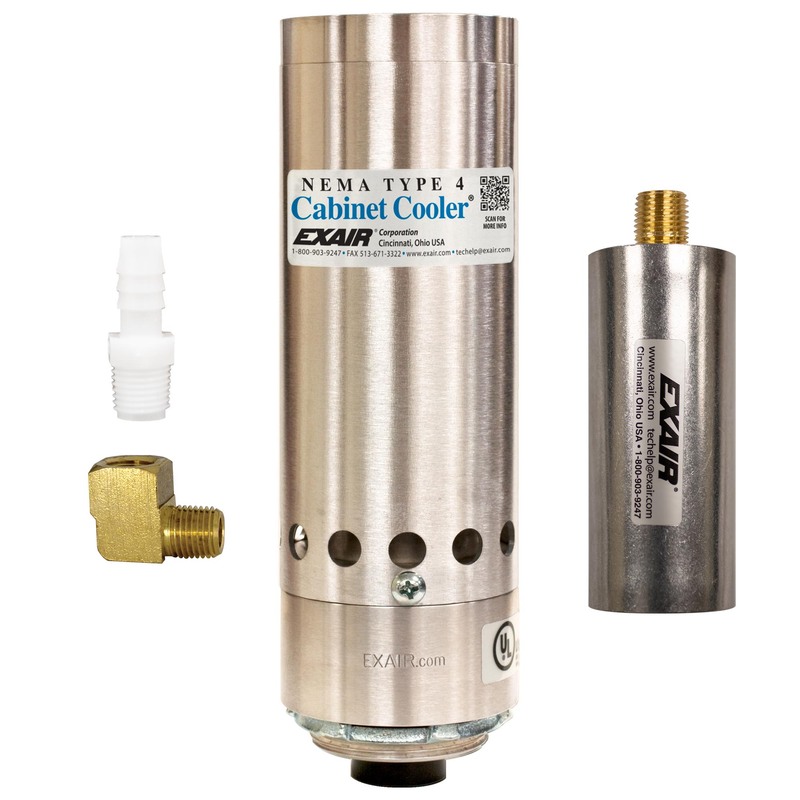 A NEMA 4 Cabinet Cooler® System is available with a thermostat control or in a continuous operation system. Each of these systems will include a water-dirt filter separator to prevent water condensate and dirt from entering your enclosure and cold air distribution kit used to direct the air for circulation or on to hot spots. High Temperature Dual Cabinet Cooler systems are available for heat loads up to 5600 Btu/hr. Dual Cabinet Cooler systems combat heat loads up to 5600 Btu/hr.